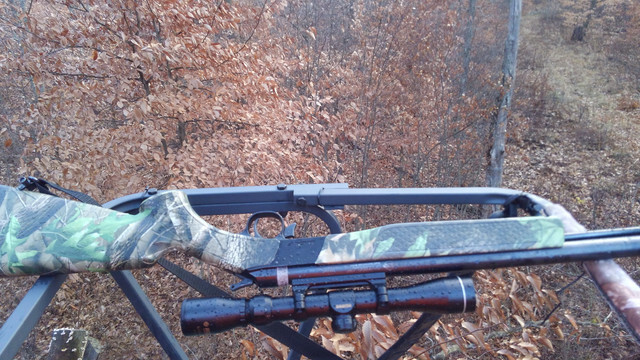 ohio muzzleloading season starts soon who's ready? Good luck, sounds like you've got some good hunting spots. a matter of fact jake i do it's next to findley state park the 3 area's i hunt & there is no hunting for deer in that state park. i had 3 great contacts to get permission to hunt there . i love hunting those 3 farms . 2 of which i do yearly clean up in the spring for these guys. cut vines & dead tree's & etc . I've been in the area on the motorcycle a few times . Nice area. Skunked again tonight. Watched some fox squirrels through the afternoon . 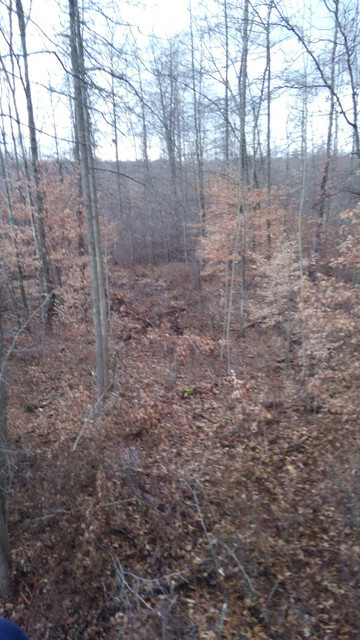 I'm gonna give up a couple hours of sleep today to get into the woods a little longer. Will be home and in bed by 830 and will try to get up around 11 and in the woods by noon till dark. Last day, got to try something! 230-dark hasn't been working. I got your pm and relied. I had rain, hail, lightning and thunder, sunshine and extremely high winds. But stuck it out. I saw two. The biggest stopped at 30 yards, and I lined up the crosshairs and squeezed that trigger. All I heard was "pffffft" the doe quickly leaped into the brush. Part of late season muzzleloader I suppose. I pulled the breech plug, and completely reloaded and waited out the rest of the night. It was a fun four days of hunting. And I'm thankful to have gotten an opportunity, even if it didn't work out. The tornado was ten road miles from where I was. Much closer the way the crow flies I'd imagine . I had no idea that was going on, but my uncle sent me pictures from his porch later that night of it. Kinda bummed I didn't get that big doe now. But that's hunting. well the numbers are in the the 4 day muzzleloader season is in total was 14,168 lorain county was up by 2 & total was up by 1200 from last year. just recalulated the numbers & only 900 more deer were taken. i also wonder what the count would of been if does were legal on public land ?